Our grandchild Hezekiah was about four or five years old when, during the course of our conversation, he looked me in the eye and sincerely asked, “Opa, how old will I have to be before I can walk like the other kids?” The question stabbed me like a knife, but I did not flinch on the outside. Since Hezekiah was born with spina bifida, he is paraplegic. He is now eleven years old and, of course, uses his wheelchair most of the time. 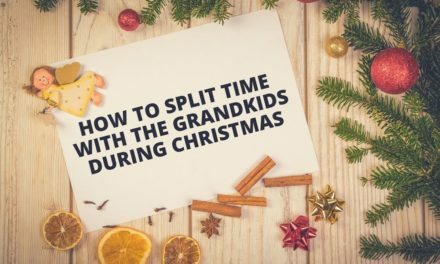 We have eleven grandchildren, and during family gatherings he is an active participant in the grandkid gang, sometimes with necessary accommodations made so he can be in the mix. I’m proud of the way my son and his wife have adjusted their family and lifestyle for this one child’s unique situation. As grandparents, we too have had to find our way in relating to him, and I’d like to share some of our observations. 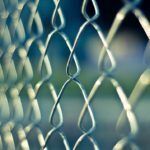 We realize that all disabilities are different—whether physical or mental and ranging from mild to severe—and family situations and personalities are unique. All of these affect the grandparent relationship. 1. Observe how the parents are dealing with the disability. Each family has its own personality and its own way of parenting a child with a disability. As long as the parents’ approach is healthy, grandparents can help to provide consistency for the child by using a similar approach. Try to adapt to and reinforce that parenting style. As grandparents, you can encourage and enrich what they are already doing. Depending on the disability, the parents are already putting in extra effort, and helpful support from the grandparents is usually much appreciated. 2. Be honest with your grandchild. I was surprised when he said, almost casually, “Oh, so I won’t ever be able to walk.” He then moved on to another conversation. I had the sense that, at least intellectually, he already knew this and was just processing it. Although his parents have been open and honest with him, he needed to talk about it with someone other than his parents. And he needed that person to be honest as well. 3. 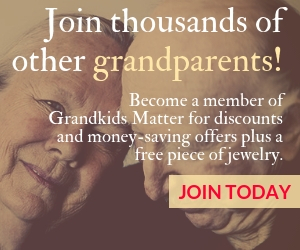 Find ways to include your grandchild in activities the rest of the family is doing. Sometimes you may have to take extra steps, but it is important for the grandchild to be part of the action and not sitting like a train on a side track. We include Hezekiah on his level whenever possible. In the winter, when the grandchildren help split and stack fire wood, they each have a task. Two of them bring wood to the splitter and carry the split pieces to the wood stack. While I load the logs on the splitter, Hezekiah runs the hydraulic wedge because he can sit in one spot and work the lever. He is an integral part of the firewood crew. When his immediate family goes camping or hiking, Hezekiah goes too. His dad has modified an outdoor wheelchair with handles so the rest of the family can pull him over rough terrain or up the side of a steep incline. He is there, participating with everyone else. 4. 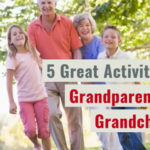 Find activities where your grandchild can succeed. A couple of weeks ago I hired Hezekiah and his two younger brothers to paint an old shed. Hezekiah painted the lower portion because that was what he could reach, and the other two painted the upper portion because they could stand and reach higher. Was this a professional looking paint job? No, but it wasn’t really about a shed needing to be painted. It was about three boys looking with pride on what they were able to do. And it actually turned out looking pretty good considering the work crew. The ability to achieve and accomplish helps to build a grandchild’s skills and confidence, especially when there is a disability involved. Regardless of the ability or disability, I encourage grandparents to be intentional and creative in finding jobs and activities their grandchildren can achieve with success. 5. Do not underestimate what your grandchild can do. 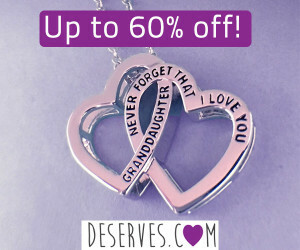 As a grandparent, it is important not to be overly protective of your grandchild. So often that leads to underestimating what he or she can accomplish. Hezekiah has great upper body strength but no use of his legs. When he was about three years old, he announced to his father, “I am going to climb trees.” His father explained that this would be difficult because of getting up to the first limb. Undaunted, he replied, “E.J. [his older brother] will lift me up to the first limb, and I will be able to climb from there.” At an early age he recognized what he could not do, assessed his need, and came up with a solution to the problem. Too often we grandparents are overly cautious and underestimate a grandchild’s ability. We have to consistently check ourselves as to whether we are correctly assessing what he or she can handle. At times we may need to suggest activities that challenge the outer limits of what we think (or what the grandchild thinks) is possible. Remember, it may be better for him to try some activity and find that he cannot quite complete it than to never be challenged to try it. 6. See beyond the handicap. When there is a major disability, it’s easy to see the child only through that lens. We can get caught just looking at the disability and forget about the rest of his personality. Like looking at a beautiful sunset that is beyond the horizon, sometimes we need to look past the handicap and see him as his own person—much more than just the disability. He is first and foremost a grandchild; we can’t let the disability define him in our eyes. The relationship can be limited if we focus too much on the disability. I’m not saying we should deny that there are real limitations. We need to accept the fact that the child does have a disability. However, we should not make the disability the totality of our view of him, nor our relationship with him. 7. 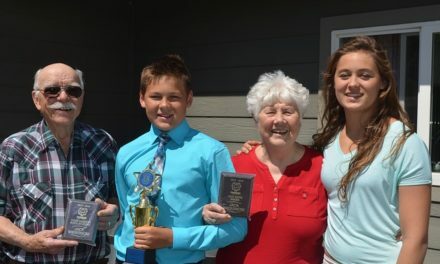 Help develop your grandchild’s giftedness. In the Bible, the Psalmist writes, “For You have formed my inward parts: You have covered me in my mother’s womb. I will praise You, for I am fearfully and wonderfully made: marvelous are Your works” (Psalm 139:13-14). This doesn’t apply only to those without disabilities. Grandchildren with disabilities are also wonderfully made. As grandparents, it is to everyone’s benefit if we can help the grandchild discover his or her wonderfulness. How is she gifted? What natural talent and abilities does she possess? Can these gifts be expressed in spite of her limitations? How can the environment be modified to allow personal expression of her talents and abilities? For example, Hezekiah has a keen interest in art and photography. Last year his sketches won second place at a local youth art contest. Often for birthdays, we have tried to give him art supplies along with outdoor toys like bow and arrows. He has also received video classes on photography. We are simply trying to give him opportunities to develop his gifts and interests. In addition to physical, intellectual, and emotional maturation, it’s important to keep a grandchild’s spiritual development in mind as well. As he gets older, you’ll see more and more of his spiritual gifts emerging, and he can use them to bless others. His ability to participate in a faith community and minister to others can become the most important part of his life, in spite of what some may consider to be a handicap. Perhaps that ability will even be enhanced by the handicap. We grandparents should be asking ourselves if there might be something bigger happening through our grandchild’s disability. God often has greater purposes than what first meets the eye, and perhaps He wants to bless us, challenge us, or teach us something about Himself through our grandchild, just as he is. 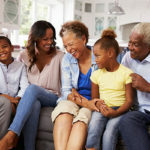 In some ways, many of the above principles apply to all grandchildren, regardless of the circumstances, although there are unique challenges with some grandchildren. 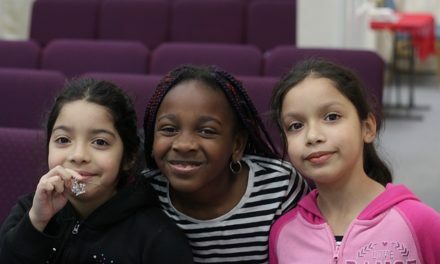 Whatever the situation with our grandchildren, we grandparents should devote ourselves to building up their generation. 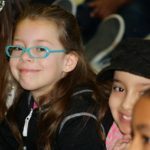 My experiences and suggestions do not make up a comprehensive picture of what it takes to have a good relationship with a grandchild who happens to have a disability, but I hope I have provided some food for thought and prayer, and some encouragement for grandparents to become an integral part of building up their grandchildren.